The Point-in-Time Unsheltered Count Survey collects a lot of information from participants, which translates into substantial quantitative and qualitative data that allows for a better understanding of homelessness in Charlotte-Mecklenburg. They don’t want to be separated from a pet or companion. While these options capture many of the reasons that participants might not stay in an emergency shelter on the night of the Point-in-Time Count, there is another option that was expressed during my survey interviews that can present a barrier to accessing emergency shelter and other services: lack of or insufficient form of identification. As we reflect upon the Point-in-Time Count and how we can use the collected survey data to inform and advocate for policy change, it is important to think about the issue of access to identification, which is inherently related to the issue of homelessness in the United States.  On the morning of February 1, I was assigned to the Fourth Ward district of Uptown Charlotte. One man that I interviewed told me that the primary reason he was not staying at a shelter was because his South Carolina ID was not acceptable for entrance. For me, this interaction brought to my attention the insular causes of homelessness that are exacerbated by federal and state policies regarding access to state-issued identification. It also encouraged me to consider the current requirements to enter emergency shelter as well as other services that people experiencing homelessness might require. Unsurprisingly, many services including food and healthcare benefits, housing subsidies and temporary shelter require some form of identification. This includes food assistance, Medicaid and long-term housing assistance. That means to get out of homelessness, you must have an ID. For emergency shelter admission in Charlotte-Mecklenburg, the requirement to have an NC ID varies by provider. When ID is required, the provider provides allows temporary access and helps the person obtain an ID. Urban Ministry Center Room In the Inn requires a NC ID, but a person may still enter if they do not have an ID and are allowed 5 days to start the process. Men’s Shelter of Charlotte does not require an NC ID for entry. The Relatives Youth Crisis Center does not require an NC ID for youth to enter. Salvation Army Center of Hope does not require an NC ID for entry. Safe Alliance does not require an NC ID for entry. Samaritan House does not require an NC ID for entry. Although most emergency shelters in Charlotte-Mecklenburg, do not require NC ID to enter, there may still be a perceived barrier by people experiencing homelessness like the man I interviewed because of the other related services that people experiencing homelessness might try to access that do require NC ID. This means that even if a person is able to enter an emergency shelter, they may not be able to exit homelessness without an NC ID. WHY WOULD SOMEONE LACK PROPER IDENTIFICATION? A person may lack proper identification because of external factors in their lives. For example, someone fleeing domestic violence might not be able to return to their previous home to collect their identification or supporting documents. Alternatively, someone could have lost their ID due to a flood, fire, or other disaster related to their housing condition. It is also easy to lose or have stolen identification and other important papers while moving from place to place, sleeping on the street or in a shelter. WHAT ARE THE BARRIERS TO OBTAINING STATE-ISSUED IDENTIFICATION? To obtain an ID, many states require other proof of identity that reflect a permanent residence, which is antithetical to those who are homeless, who do not have a stable place of residence. The cost of ID replacement (and of attaining the documents necessary for ID replacement) can be prohibitive for many who are homeless. Because the condition of homelessness is intrinsically and deeply related to other social necessities like access to education, access to the provision of health services, and access to adequate food sources, the potential benefits from improved identification replacement services is immense. WHAT ARE THE REQUIREMENTS TO GETTING A STATE-ISSUED ID IN NORTH CAROLINA? North Carolina is one of 25 states that began using RealID driver’s licenses. The RealID Act was passed by Congress in 2005 and set standards for how driver’s licenses are issued. Requirements include providing photo ID, proof of Social Security number, date of birth and proof of a permanent residence. IDs cost $13. The fee is waived if you are homeless and have a letter from the director of a facility that provides care for homeless residents. While the fee for obtaining a NC ID can be waived if you are homeless (if you have a letter from a homeless facility proving you are homeless), this is not the only cost associated with ID replacement. For example, there are costs associated with getting a copy of your birth certificate, the cost of transportation back and forth between places to submit documentation and the cost of time that it takes to get replacement copies. For people experiencing homelessness coupled with mental health or substance use there are additional challenges to tracking down documents and information. 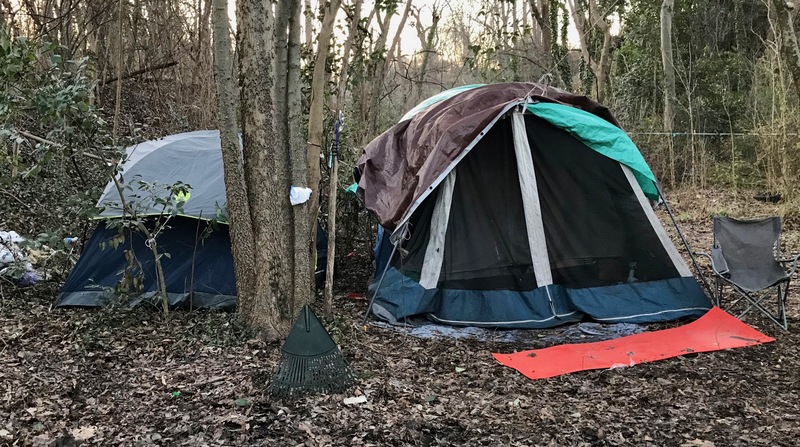 Many states and cities have taken preliminary steps in easing the process of obtaining proper identification for people experiencing homelessness, including Charlotte-Mecklenburg. Provide alternatives to the residency requirement (i.e. a descriptive address). Allow alternative documentation (school records, photo copies of older IDs, birth certificates, voter registration cards or IDs from governmental social service programs). Allow “logical verification” to prove identity.  Charlotte-Mecklenburg’s Urban Ministry Center (UMC) helps people experiencing homelessness with obtaining NC IDs. To receive assistance, a person must set up an appointment with a counselor. They receive a voucher with the UMC address so that they can get an ID and assistance to obtain additional documentation if required. To be eligible, the person must be literally homeless, which means they must be experiencing homelessness on the street, in an emergency shelter or transitional housing, or fleeing domestic violence. Transportation is provided to a NC DMV facility three times per week. Chicago City Council voted in April 2017 to create a municipal ID program for people experiencing homelessness or who are undocumented. They earmarked $1M for the project that will provide city ID cards to grant access to city services and cultural institutions and can be loaded with fare for public transit. It also allows for domestic violence survivors to designate an alternative address and for homeless individuals to obtain an ID without a fixed address. New York City launched a program called idNYC in 2017 to allow people experiencing homelessness to use expired state IDs, high school transcripts and letters from a homeless shelter to verify their identity. Detroit allows homeless residents to use their HMIS ID card or submit a witness affidavit to provide proof of identity. Meredith Hess is a senior Environmental Studies Major at Davidson and is interested in the confluence of policy and design. She participated in the 2018 Point-in-Time Count after learning about it in a course she is currently enrolled, taught by Dr. Joseph Ewoodzie, that discusses the societal and political implications of housing.